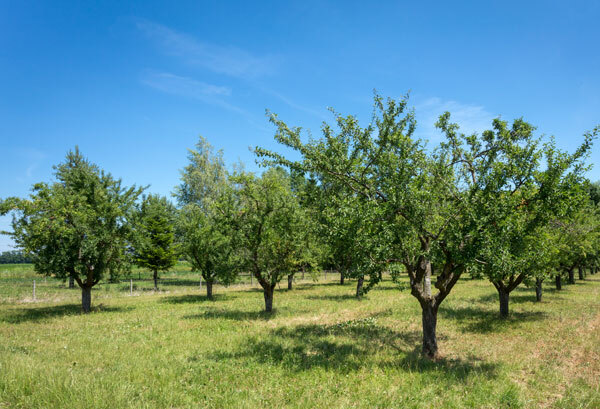 The production of our fruit “eaux de vie” is underpinned by the meticulous work carried out all year long in our vineyards and orchards. The different fruits are harvested and then sorted by hand. After the sorting process, the fruits are placed in tanks where fermentation occurs and the following January, distillation takes place in a copper still. 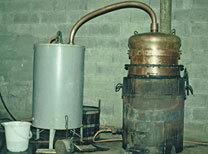 In distilling the first time, we are seeking to obtain “les imparfaits” (a term which translates as “the imperfect”). These are the resulting liquids from the first distillation which have an alcohol content of around 25%. 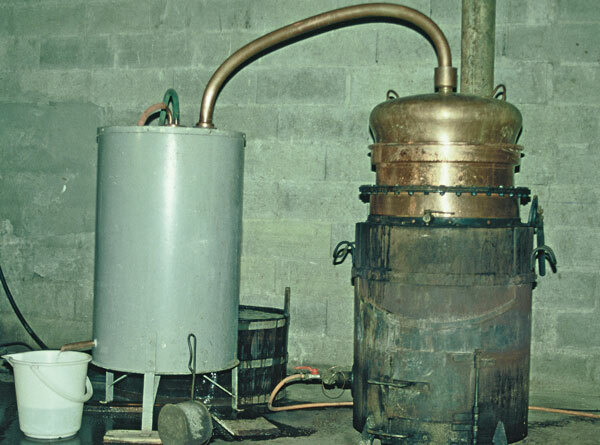 The second distillation takes place immediately afterwards during which “les imparfaits” are redistilled. The resulting liquid retained has by this time reached an alcohol content of 70%! The alcohol level is then reduced to 45% by adding natural spring water. 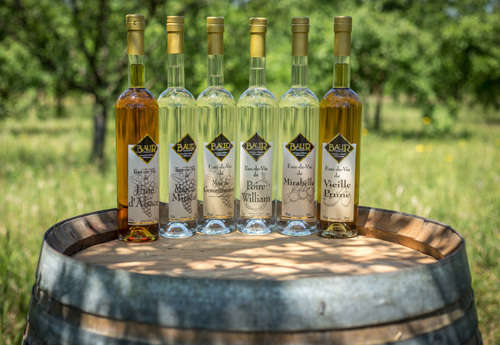 We distillate our pears and our Mirabelle and Quetsch plums but also the skins of Gewurztraminer and Muscat grapes. 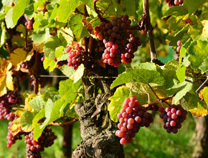 The final “eau de vie” which we produce is distilled from a still, dry white wine – the “Fine d’Alsace”.